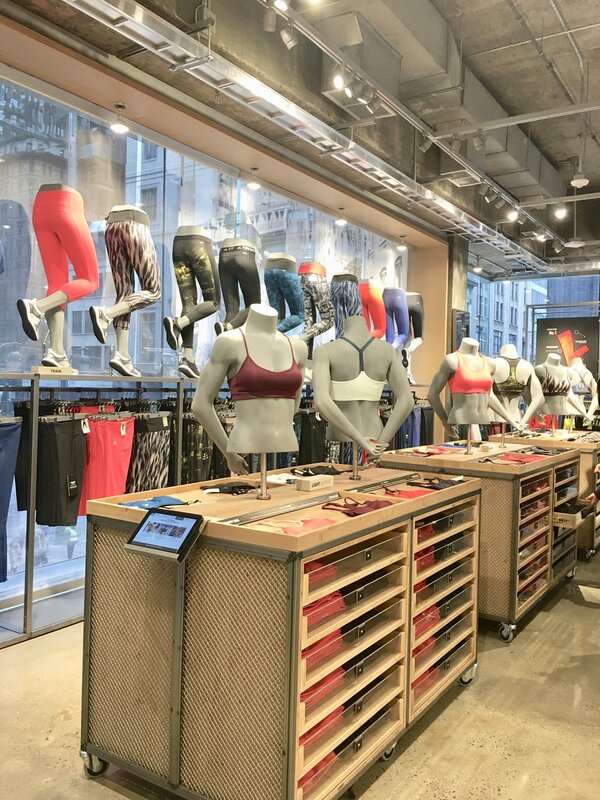 Making Change — Riley Group Inc.
Reformation Masters In-Store Tech. Will the "It-Girl" Fashion Brand Improve Its Customer Service Next? Riley Group’s retail guru contributor Olivia Horvath shopped Reformation’s Bond Street store recently. Her take: the new tech is excellent, but traditional customer service left a lot to be desired. Read our review of this store’s guest experience. How do you feel about tech taking over for people in retail stores? 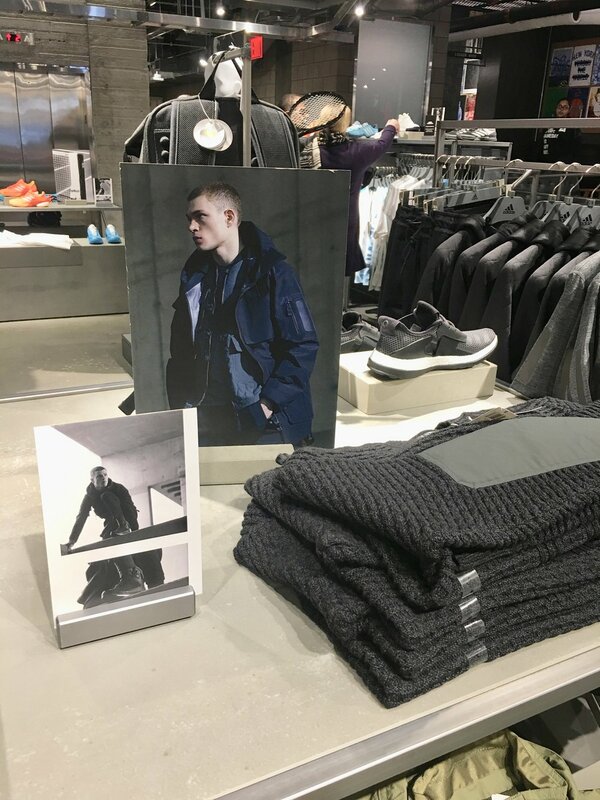 My trip to Adidas. 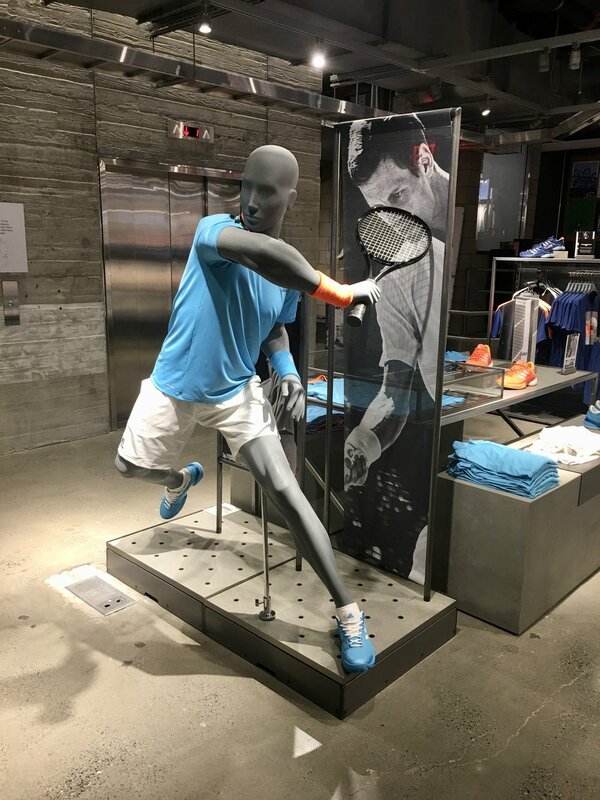 The store Nike would have built in the past. After having a good experience at the new Nike flagship, I was excited to hit the new Adidas flagship up on 5th avenue. There was quite a bit of media hype over this store and I was interested in comparing. 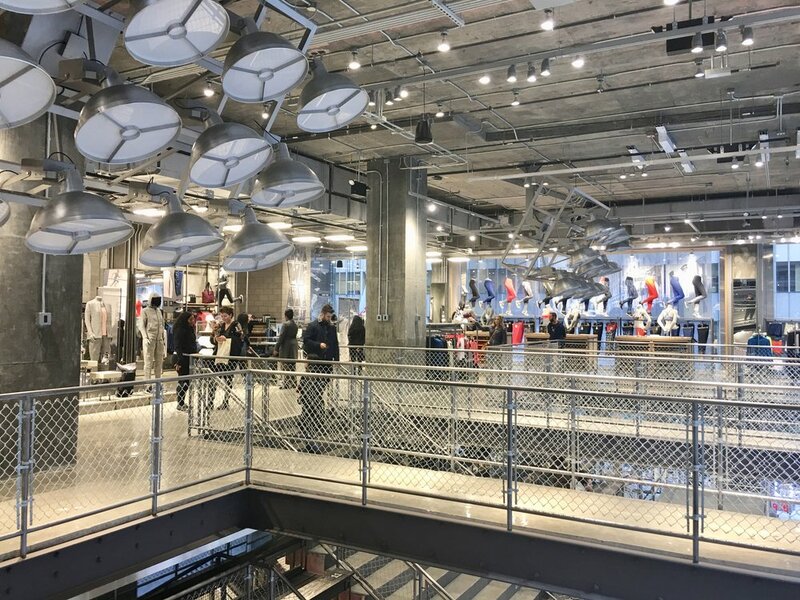 While I really liked both store experiences, my top line insight is Adidas is more prescriptive of a traditional flagship store right down to its location. It was big and bombastic and dramatic. 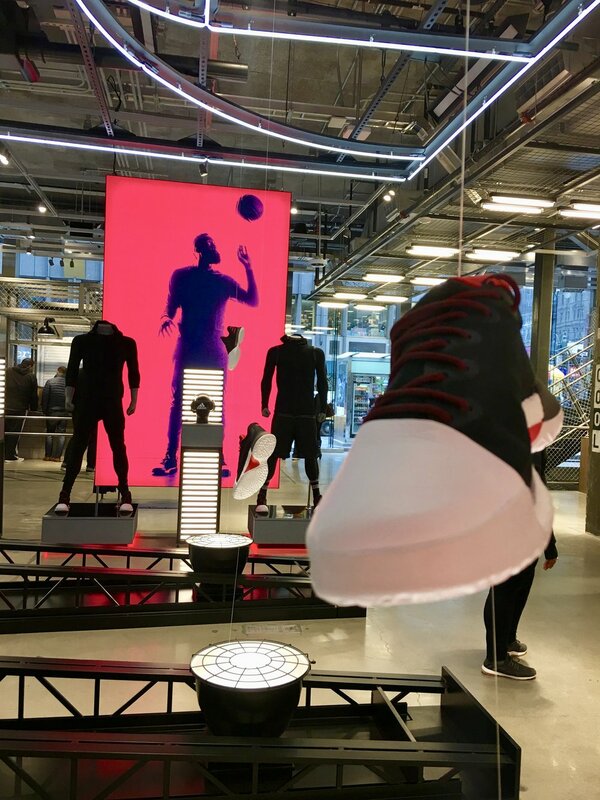 In my opinion, Nike's choice of SoHo, it's community strategy, it's service strategy, and the nuanced expressions of the strategy in the design, are reflective of a greater level of sophistication in the experience putting Nike one step ahead of Adidas. Adidas is the store Nike would have built in the past which is probably testament to Nike's experience and resources as a global brand. 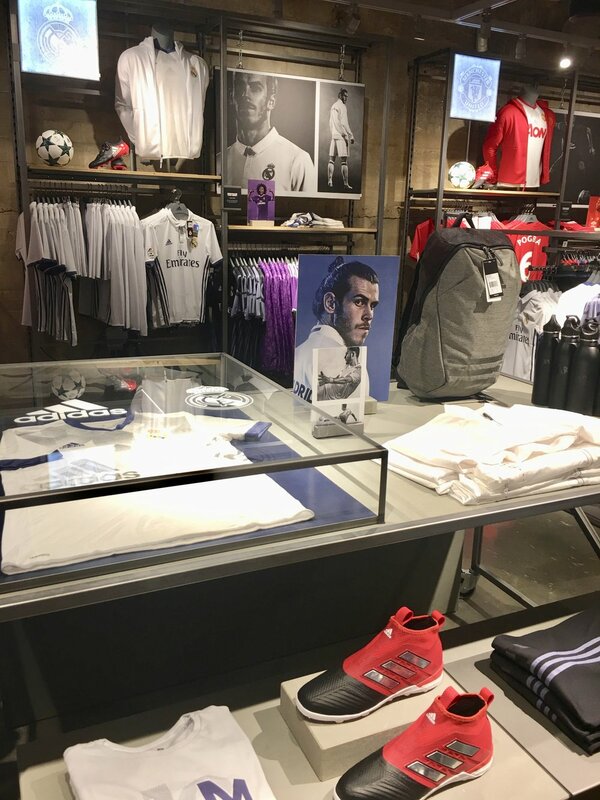 That said, the Adidas store is impressive and captures the unique street edge of the Adidas brand. What really struck me was the product design and collaborations. I found myself constantly being pulled into the product on the shelf and there's a lot to look at with four floors and multiple categories. While Nike chose to champion Running, Soccer and Basketball, Adidas has a wider range of product categories and as a result offers more choices. I'm not a fashion designer, but their product collaborations are good and the Pharrell Williams product is a must-have kind of hot. The use and branding of technical materials is both impressive and engaging to the touch. Adidas brands and labels a lot of technology which you eventually tune out but it's always there to reinforce their expertise. One of my favorites fabrics is a paper material used on jackets. It's lightweight, tough as nails and elegant all at the same time. Both Nike and Adidas are great merchandisers but I noticed a unique layering technique at Adidas. 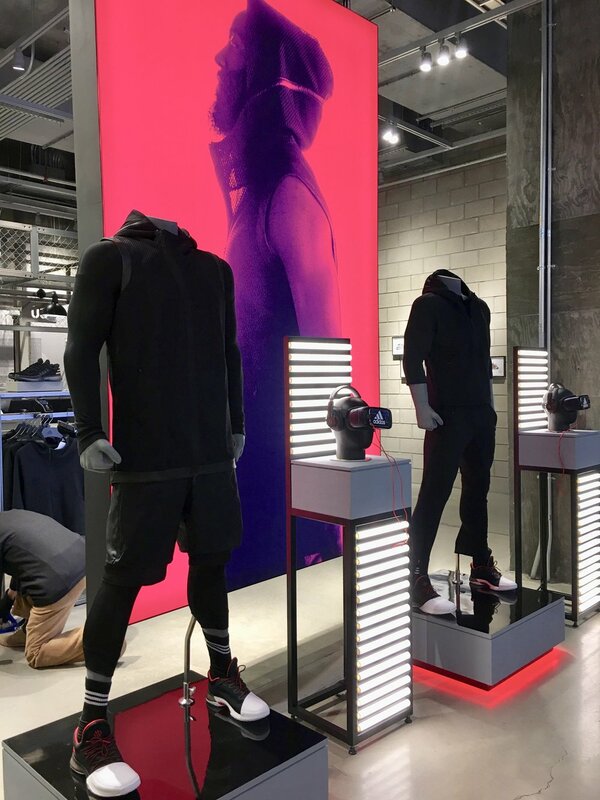 Displays were like mini-scrap books, layering photos, signs and a range of product to bring athletes and product stories to life. One of the most unique features of the store is a bleacher section built into the stairs. It's not an unexpected element, especially for a "stadium store" concept, but the positioning of the grand stands is both useful and entertaining. 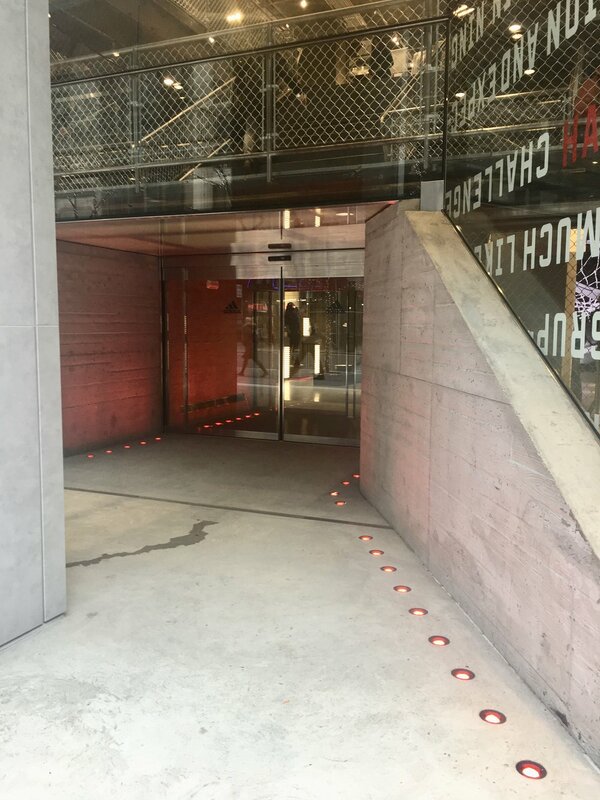 The area will serve the store well both as a resting spot for weary 5th avenue crowds as well as a mini-stage for store events and product launches etc. From the street one looks up to the fans facing them as if the street is the playing field. A unique and fun perspective. The music is, of course, spot on and put me in a great mood. 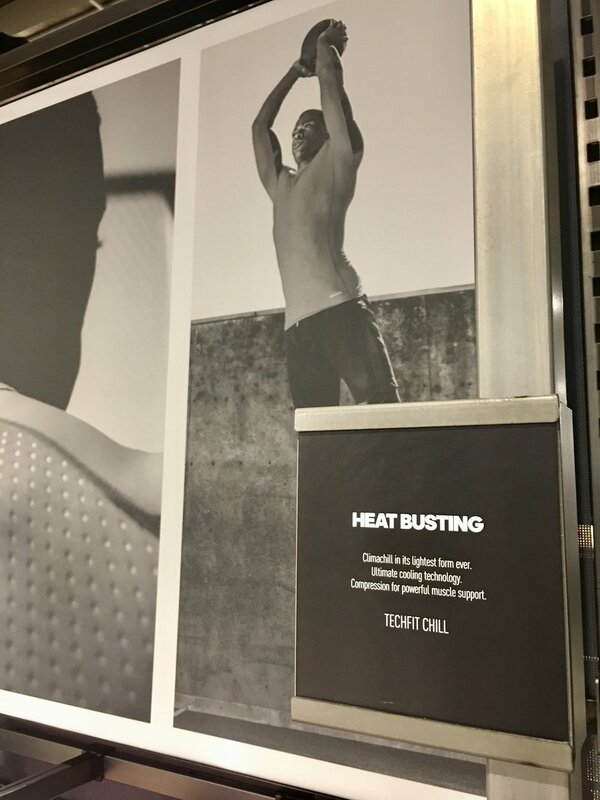 While Adidas doesn't have a strong service statement they've teamed up with a professional training company and certified trainers roam the store talking to guests about whatever sport they play offering advice on how to train better, deal with injuries and of course what products can help them be a better athlete. Like Nike they utilize technology to evaluate a runner's stride in order to make product recommendations. Overall, the staff supporting all of this was very energized and seemed genuinely excited to be there. 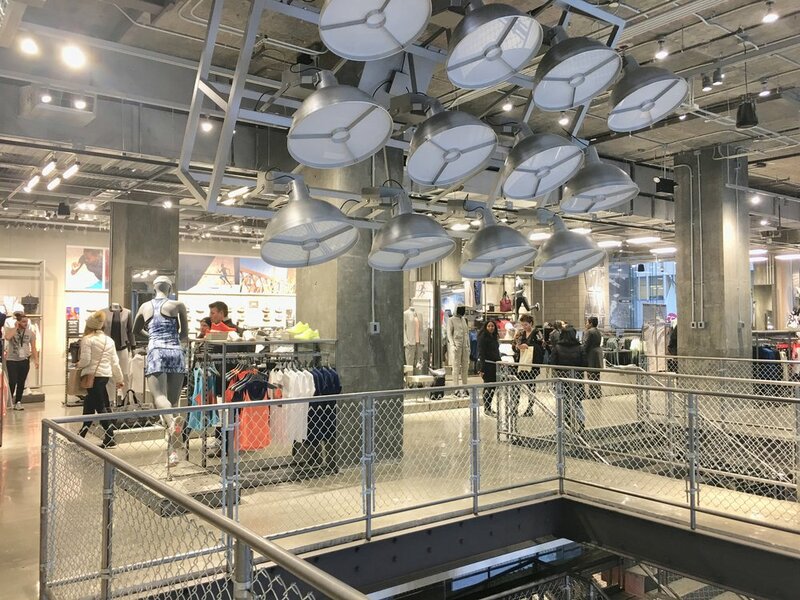 Both stores seem to be new chapters for Nike and Adidas as they battle it out in NYC. I'd say both customer experience are well thought out down to the details and both transport you into their brands. As a fickle customer they've both convinced me and won me over. Despite all the technology and promises of personalized data points, it's the product design I can't live without. I now have products I "must have" from both brands to complete my look, not to make me a better athlete (they can't fix this :) but I appreciate their effort. This season, thanks to the Nike running store in the Flat Iron district, I've been happily sporting a few pairs of Nike's and I've made a few satisfying trips to that location where I first noticed Nike's new commitment to service. 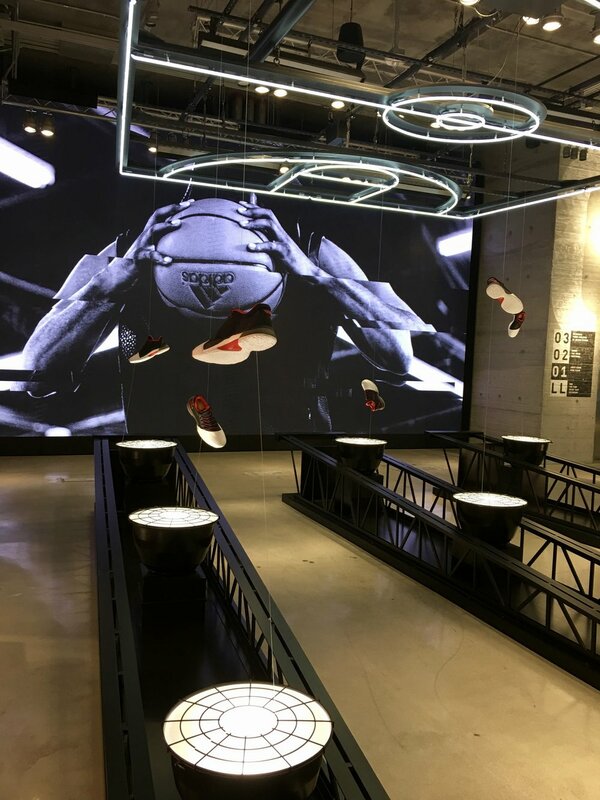 So, when I read about the new Soho flagship I was so excited to get over to see this new breed of Nike stores. In perfect form, when you walk in your senses are overloaded and you're transported to what feels like a pro-level athletic event. The booming music puts you in the middle of a half-time event at an NBA game but you're not looking down from the bleachers, you're looking up from the floor. A massive video wall welcomes you in and draws a clear line in the sand. Nike SoHo is 'at your service' in four very specific ways..which they list. While the store reinforces the commitment to service, it's the employees or "Athletes" as they call them who do a great job delivering on the promise. This new flagship seems to mark a new chapter in Nike's story departing from the brand temples of the past. It is literally larger-than-life occupying four floors in SoHo but it's more authentic and it means business. It's kinetic and feels more active and in-motion rather than the staged drama of it's predecessors. As the guest, you're no longer the spectator. You're 'in the game, on the floor, in the match.' 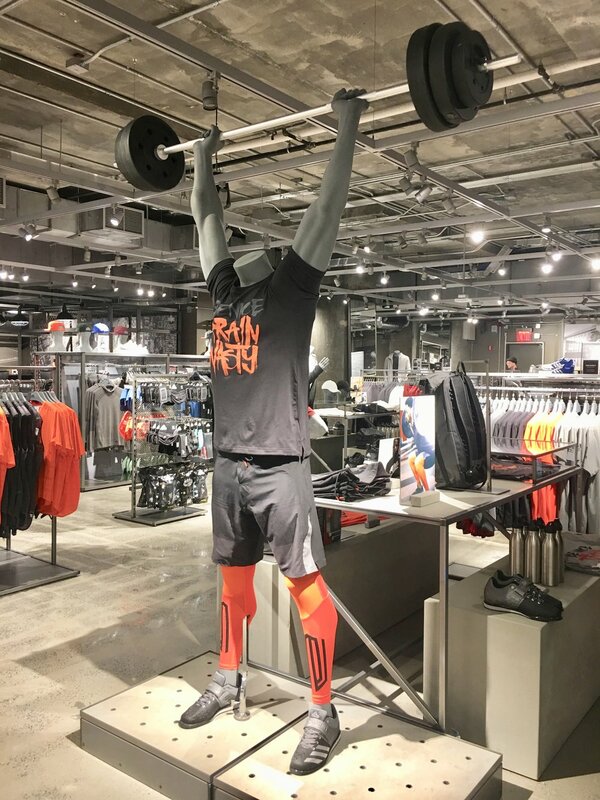 Teams of mannequins tower over you like the 'gods of the sports' without being specific to any one athlete. Could that be you? Video puts you in a moment or you see your reflection in the surfaces and you're part of the picture. The store interacts with you passively and actively. You're among the athletic gods but you're next to them, rubbing elbows, comparing your height to theirs. 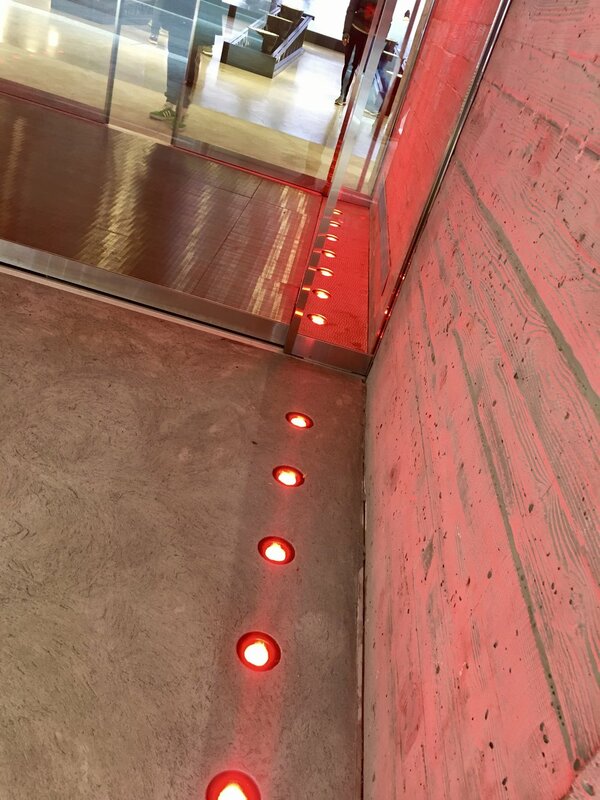 Product (as technology) is hero and reinforced around every corner. Yet while the soft apparel product is positioned as technical, but approachable, the technical product is positioned as soft and human. They've brilliantly gone anti-tech with the Nike / Apple watch and presented it in human non-intimidating super simple terms that stand out against the technical apparel environment. 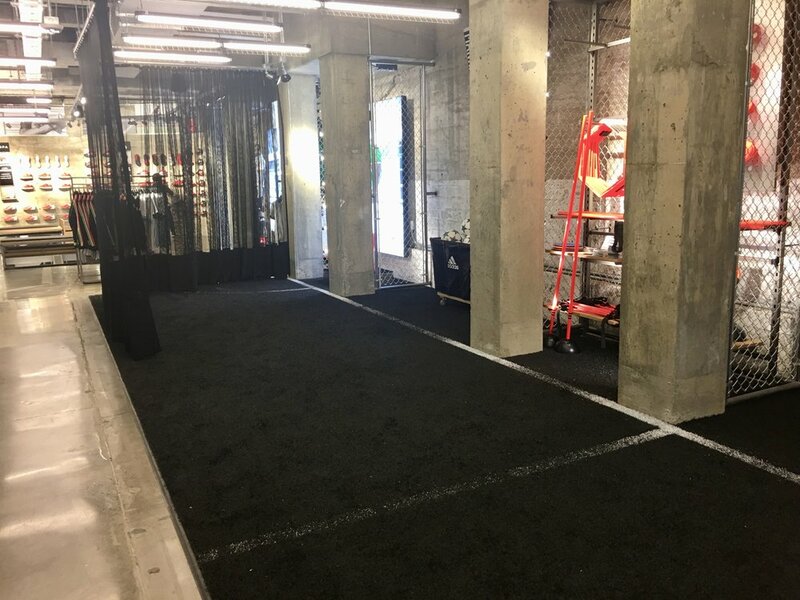 In the last year, I've done a lot of work around guest experiences that connect authentically with the community and that's exactly what Nike is trying to do here. When I spoke to one of the Athletes she said, "We are here to make sure you guys in the community, in Soho, have what you need." So while it sits in a global tourist destination its message is local. Welcome Soho. It was an inspiring visit to the Nike Flagship SoHo. I felt genuinely welcomed, engaged and inspired. Have a look at the photos and see for yourself but you cannot have this experience through any digital means. It's only through a visit that you will you have this experience. Isn't that the bar that all retail stores need to hit today? One thing that immediately struck me, beyond the must-have styles and wonderment of how they continue to advance the design of tennis shoes, was the onslaught of personal service. It is clear that Nike has implemented a service program defined by a "personal" level of service for everyone. I'm not a known 'big spender' nor do I call ahead and ask for a personal shopper, but that's exactly what I got at the Nike Running Store and I walked away feeling like I now have a go-to store and guy who would do anything to make sure I'm happy with the shoes on my feet. What did he do? What you would expect however he actually did it. He got to know me, stayed with me through dozens of considerations, offered advice and a bottle of water and shared information on the local Nike running and work-out clubs. He made it clear that this was "Nike...at your service." Bottom line, he be-friended me in a normal not too overly friendly or weird sort of way and then wrapped up my shoes in a great presentation and sent me on my way. In a recent article published by the Business of Fashion, rents on major high streets in New York and Hong Kong are dropping. On New York's Fifth Ave rents dropped from $3500 to $3000 a square foot and vacancies are up to 15.9% from 10% earlier this year. Brands are pushing back on high rents and looking for ways to cut budgets. While they are not abandoning the thought of a flagship store they are looking for less expensive "cooler" locations. This is yet another sign of pressure on the retail store model needing to become cheaper and more nimble for brands and for consumers. Again this makes me wonder, with the pressure of online sales on retail stores, are developers, brands and store designers reacting fast enough with solutions that move product in the real world in different ways? Store Closings. Doom and gloom or the next wave of possibilities? While stores closing and downsizing is a painful short term reality there lies opportunity. Kenneth Cole will close nearly all of its stores, 63 in total to focus on his online business. It looks like he will keep flagship stores in NYC and Arlington, Virginia. As hard as it might seem for those of us in the retail world, it makes sense. The reality is, Kenneth Cole will still have a need to connect with his fans in the real world, just not through an expensive fixed retail store format. He will also still have a need to sell his product in the real world, just not at his outlet store format anymore. So we can bemoan another round of store closings or we can get cracking on what is next for these brands. How can we repurpose physical retail space to be more nimble and temporary? What are other real world formats that will put him in touch with his fans without the long term investment of a store? How are we making it easy for brands to pop-up across the nation without signing a 10 year store lease? As retail designers and developers are we dreaming big enough and are we moving fast enough?